It requires a lot of stamina for an actor to single-handedly carry out a fast-paced 90-minute performance with only three short pauses of a minute, but Nyla Levy nails it. 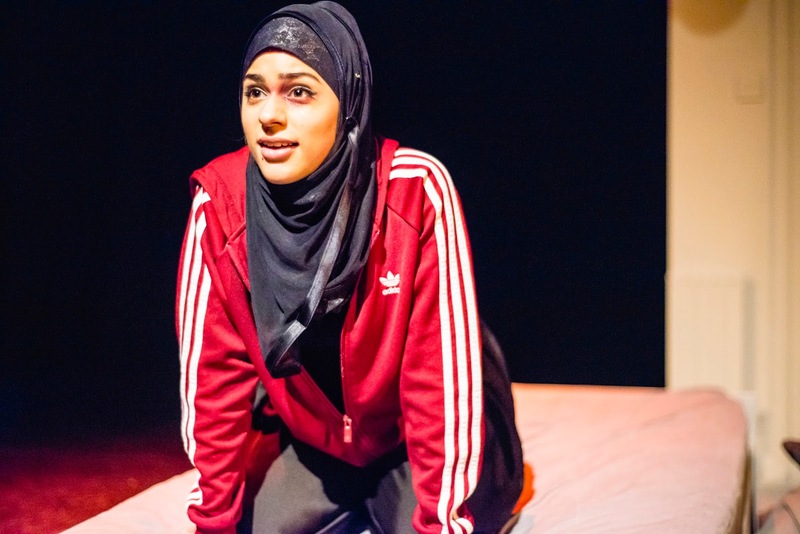 Despite a few slips of the tongue, the young actress honours the role of sixteen-year-old Shaheeda in The Diary of A Hounslow Girl, which she inherited directly from its writer and original performer Ambreen Razia. 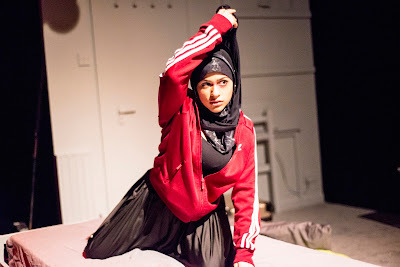 First presented in 2016 at London's Ovalhouse, Razia's debut play is the emotional and amusing coming of age of a British-Pakistani girl, who struggles to find a balance between her mother's pressure to become a good Muslim woman and the curiosity to be like any other teenager, go to parties, try some drugs and hang out wth boys. The set recreates Shaheeda's bedroom, where she suddenly enters in great haste. Here, talking directly to the public, she starts a sweet and sour account of her last year of life, mentioning the fights with her besties Leonie and Tash, the blinding love for Aaron and her sister's wedding -- to whom she's often called to compare herself. The Diary of A Hounslow Girl is not only the earnest and entertaining confession of an individual, but aims to depict a whole category of street-smart, hijab-wearing young British-Muslim girls who strive to break free from tradition but, equally, appreciate the deepest meaning of their cultural background. In the wide auditorium of the Bernie Grant Arts Centre, though, the audience is deprived of the essential intimacy required by the piece and the physical distance of the set goes to the detriment of the confidential tone wanted by Razia for her work. Shaheeda is ready to admit her naughtiest adventures and most personal disappointments but she's too far -- even from the second row where I am -- and her feelings disperse somewhere between her bed and my seat. I would have loved to be closer to her, look at her eyes when they filled with sorrow and see her cheeky smile whilst she thought back to what she did last summer with her friends. Quite possibly, this oversight steals a star from my overall rating. Nonetheless, Nyla Levy is brilliant in the role of Shaheeda. She's witty and upbeat, but also stirring when the dialogue suddenly becomes serious. 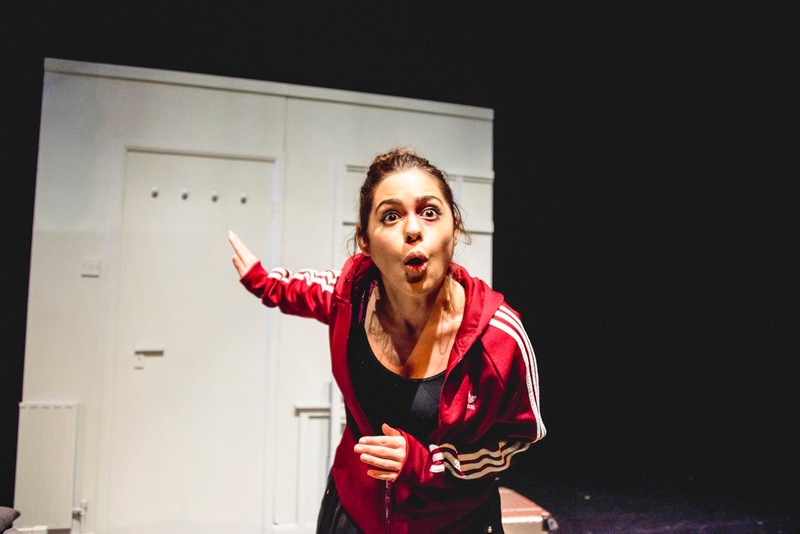 She gains momentum throughout this intense one-woman show and never stops keeping the audience curious on what's coming next. Only in the final scenes, I felt her lines starting to drag a bit, but this is most likely due by a change of pace in the script, rather than her own fault. of the often controversial relationship between mother and daughter. This heartfelt outcry points a finger on the lack of communication that, inevitably, opens a gap between adults and younger generations, and reaches out to fill this gap, by suggesting some possible solutions. There is something wonderful in a young playwright opening up about a controversial and seldom discussed topic, a freshness and frankness that we slowly lose in our grown-up life. Since first staging The Diary of A Hounslow Girl, Ambreen Razia has received great praise for the quality and significance of her work and it value is certainly bound to increase. Hopefully, this play will inspire some of her peers to follow her example and see this as an opportunity to speak up about a the painful transition towards becoming an adult.